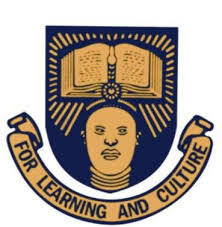 Obafemi Awolowo University, Ile-Ife, OAU Postgraduate Admission Form for the 2018/2019 Academic Session is now on sale. The school management is inviting interested and suitably qualified candidates for admission into Full-time and Part-time Postgraduate Diploma (PGD); Professional Masters (MPA, MIR, MM Psych, LL.M. etc); Masters with Research Thesis (M.Sc., M.A, M.Phil.) and Doctor of Philosophy (Ph.D.) Degree Programmes in the following Faculties and disciplines of the Obafemi Awolowo University (OAU) Postgraduate Programmes for Harmattan Semester, 2018/2019 academic session. Available Programmes: Please check the attached .pdf document below for details. Click on Create application account and use a personal e-mail address and password to Create an application account. See the attached .pdf document for full details. You can also CLICK HERE to download the OAU Postgraduate form 2018/19 registration guideline. The Sale and submission of Obafemi Awolowo University Postgraduate Application Form will end on 31st December, 2018. Therefore, duly completed form should be submitted online on or before the deadline.